Worldwide, millions of people suffer from headaches, which ranges from mild to unbearable pain attacks, which are usually caused by increased intracranial pressure or migraine. Worldwide, millions of people suffer from headachepain that ranges from mild to unbearable pain attacks, which are usually caused by increased intracranial pressure or migraine. Headache can occur quite often in completely healthy people, as a result of changes in the weather or fatigue. Often such pain pass quickly without the need for drugs or after taking any pain medication. Some have not yet entirely clear reasons, women suffer from headaches more often than men. If you are concerned about the long-lasting andrecurring headaches, do not neglect a visit to the doctor, neurologist and medical examination as chronic headaches may be harbingers of any serious disturbances in the body. Migraine - this throbbing headache,occurring periodically, often after awakening. During sleep, the pain is usually not felt. By his strength migraine can vary from mild to unbearable. Usually such pain affects one half of the head. Migraines can last up to 72 hours, often accompanied by nausea, vomiting, severe tolerance of light, loud sounds. Doctors still have not determined what is causing the migraine. It is known that people prone to migraines, are overactive area in the brain stem. There is speculation that the changing hormone levels affect this part of the brain, and perhaps for that very reason women suffer from migraines more often than men (eg, menstrual cycle, pregnancy, and other hormonal factors). Hormonal fluctuations - this is only one explanation of migraine. Also causes migraines can be stress, hunger, insomnia, Odors, bright light, sharp, food preservatives, weather changes, etc. Propensity for migraines are usually inherited. Patients who are concerned migraine prescribe a CT scan, and various blood tests. 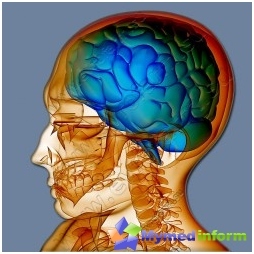 Most often, these pains occur due to tumorsbrain and intracranial hematomas. Such pains are characterized by vomiting, drowsiness, dizziness, usually occur at night or early in the morning. For accurate diagnosis of such headaches administered CT scan, they are treated, usually by surgical intervention. There is also another form of headaches,which arise due to increased intracranial pressure, but without formations in the brain. Such pain can be found in young girls or women with a weight exceeding the norm. Along with headaches can also be a visual impairment. The symptoms in such pain - pain in the forehead, temples, back of the head or whole head. It may be triggered due to changes in weather, fatigue, stress. This form of headache commonly seen inmen. The pain is characterized by seizures, it is a very strong and piercing, spreading, usually around the eyes, on the forehead and temple. Attacks typically occur in one and the same time. During such attacks can not drink alcohol. This headache is usually caused by stress. There are emotional (stress, emotions) and muscle tension (tension of the neck muscles). People suffering from this type of headache, prescribe a CT scan as well as a visit to a neurologist or psychiatrist, as tension headache may occur as a result of hidden depression. These headaches usually can lastFor many years after the injury and is accompanied by anxiety, irritability, decreased concentration, dizziness. The patient usually experiences, that his condition is getting worse, he begins to suffer from depression. When the headaches caused by the concussion, usually require a spa treatment, painkillers. Neck headache can be a medium-strength,and very strong. Localized on the neck in the neck, temples, eyes. This pain can be accompanied by nausea, staggering, dizziness. There is usually a result of sudden neck movements, fatigue, colds, osteochondrosis. Spasmodic headache is easier to treat than migraine, but almost all headaches can be managed with the help of drugs and methods that can be used independently. 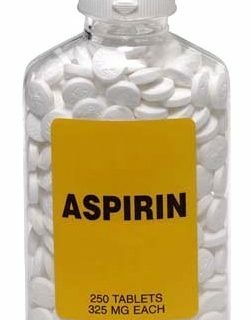 For headaches, you can use the patented painkillers, such as aspirinIbuprofen, naproxen, paracetamol, Tempalgin and other drugs, which range is quite wide. A hot shower will help ease the cramping headaches, as the hot water relaxes the muscles in the back of the neck and head. Cold compresses cool the painful area,that constricts blood vessels and reduces pain pulsation. Wrap the bag with ice cubes in a towel and apply to the painful area for about 10-15 minutes. Feverfew - healing herb thatIt has been used for hundreds of years to treat headaches. It contains the components, which remove the blood vessel spasms in the brain. If you use fresh feverfew, eat a piece of paper a day. Dose tablets or capsules should not exceed 300 mg per day. Tincture of fresh plant necessary to take 40 drops. As it turned out, this aromatic spice diningas rosemary prevents some headaches with relation to stress. Rosemary can withstand spasm of blood vessels. The best way to use rosemary - brew it as a tea. Pour one teaspoon of dried rosemary leaves cup of boiling water, cover, let it brew for 10 minutes, strain and drink. Other folk remedies, the healing properties of which can be found in the relevant directories. If you lead an active lifestyle, eatmore fluid. Some people, who are engaged in physical exercises, cases of migraine attacks are often observed. This may be due to dehydration. To prevent it, you need to drink about two liters of water a day. Most often, the brain cells in humansthat suffer from migraines, receive insufficient number of necessary components and thus energy. 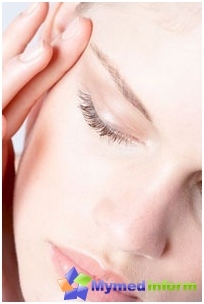 The only known method by which to increase the energy production and prevent headaches is. What you need to periodically "feed" the brain cells with vitamin B2, known as riboflavin. Try to reduce the dose of caffeine, it can help reduce the frequency of headaches. Stick sleep routine. Make sure your bedroom is dark and quiet enough, and does not violate the personal dream. When you sleep, your body is restored, including the brain. Try to get plenty of rest and spending time outdoors. Lack of oxygen is also a significant cause of headaches. Computed tomography of the paranasal sinuses. Ask your doctor about sedativesmeans. Migraine drugs are divided into two main groups: those that prevent the migraine, and those that can quickly relieve pain during an attack. Typically, in order to stop a migraine that has already started, doctors prescribe drugs such as sumatriptan, rizatriptan, zolmitriptan and paratriptan. Manual therapy. Professionals holding the technique of manual therapy can identify and eliminate the cause of the disease in a few sessions. Therapeutic Botox. Injection of small doses of the drug Botox in facial muscles leads to a persistent therapeutic effect - removal of tension headaches, as well as that is not unimportant, to smooth out facial wrinkles. Remember that any pain - a kind of signalof any violation or damage in the body. Headache, as in principle any other, is only a symptom. If you prefer to self-medicate, please note that the abuse of drugs can lead to serious diseases of the liver, kidneys, gastrointestinal tract, the emergence of allergies. Do not ignore the experts, experienced doctor will always help to clarify the causes of headache, the diagnosis and proper treatment. Health we have one, and it should be taken care of.